OSWEGO — Four SUNY Oswego master of arts candidates will display works ranging from ceramics to printmaking in an exhibition beginning March 26, in Tyler Art Gallery. The opening reception for the work of Toni Burrows of New Haven; Zachary DeMarsh of South Glens Falls; Carrie Gregg of Hale, Mich., and Auburn; and Meaghan Mulligan of Albany will take place at 5 p.m. April 5, at the gallery. The exhibition will run through April 27, simultaneous with “Imagining Cuba,” featuring the work of 11 photographers — five of them from the Caribbean island nation and six from Italy, the United States and other countries — in another wing of Tyler Art Gallery. Burrows, seeking a master’s in studio art, “focuses on what’s expected of women in regard to body image and fertility,” she said in an artist’s statement. 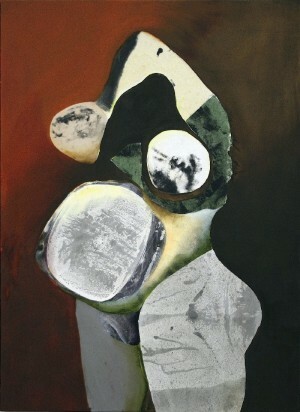 Her work is multimedia, largely of collaged body parts. Gregg is a ceramic and installation artist whose work encompasses several ideas of gender and the body. Her work in the exhibition will reflect layers of this theme in a landscape incorporating ceramic and mixed media. Tyler Art Gallery is open 11:30 a.m. to 3 p.m. Tuesdays through Saturdays.